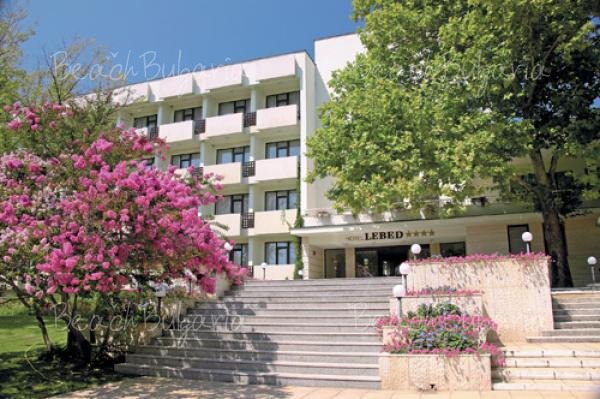 Kaliakra Palace Hotel is situated on the first line on the beach in the heart of Golden Sands resort. The hotel is a 7 storey building with two lifts, 200 guestrooms and suites. All bedrooms are elegantly furnished and offer bathroom, balcony, hairdryer, telephone, Satellite TV, mini bar. 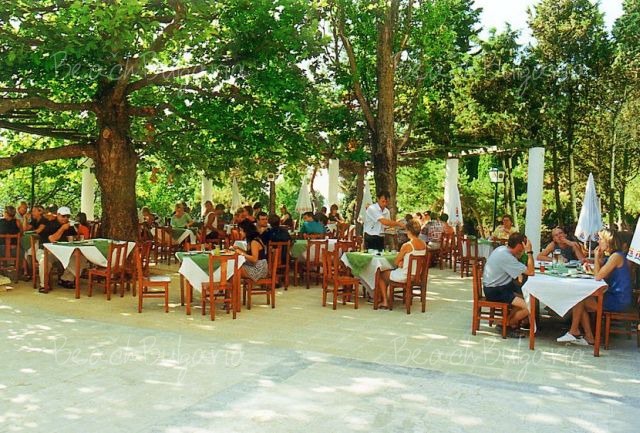 - A-la-carte dinner in the Barbeque, or in the Fish Restaurant (once per stay). 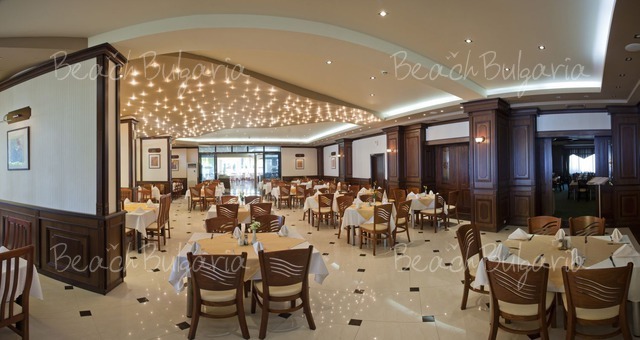 - Variety of imported and local alcoholic drinks, soft drinks. They are offerd for free at the Lobby bar and 2 pool bars. 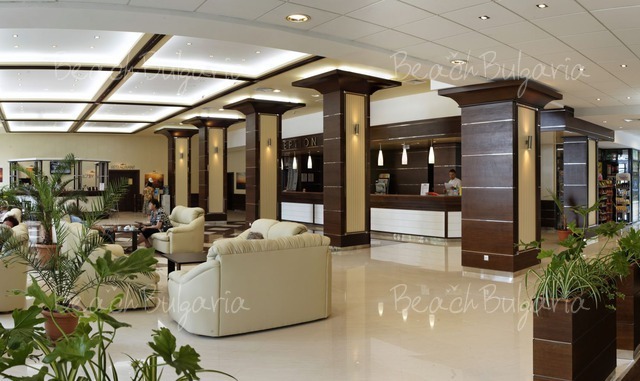 The hotel features 3 swimming pools, children swimming pool with water slides, chairs, umbrellas, sports field, children playground, outdoor massage studio, fitness, sauna, medical center, hairdresser, dentist, shops, office exchange, internet booth, animation hall. 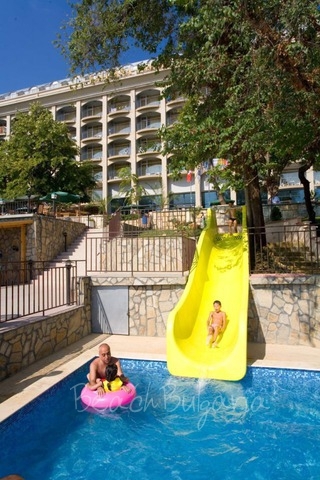 * The prices are in euro per room per night, ultra all inclusive. * Cancellations can be made free of charge providing details of this are received at least 10 days prior to check-in time on the day of arrival and 15 days during 15 July - 15 August 2019 - cancellations made after this period will incur a fee equivalent to the cost of two night's accommodation. 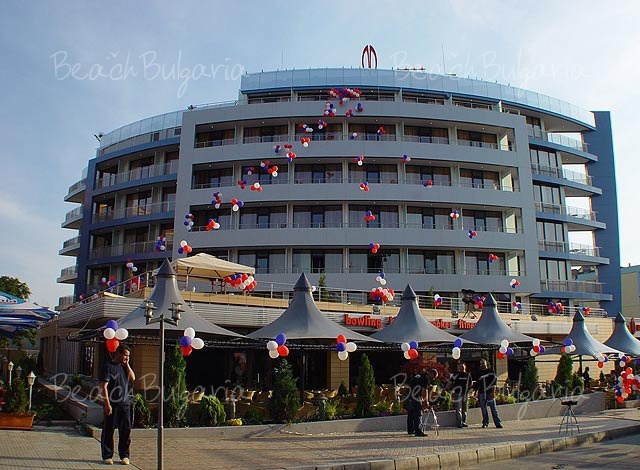 Please, post a comment on Kaliakra Palace Hotel. - 25% discount for bookings made until 30 April 2019!